Joey Brackets is good at his job, and he has the track record to prove it. Nonetheless, he made a whopper of an error in his recent column about the A-10. He claimed VCU is the “A-10’s only realistic hope for an at-large bid.” This is laughable on its face. 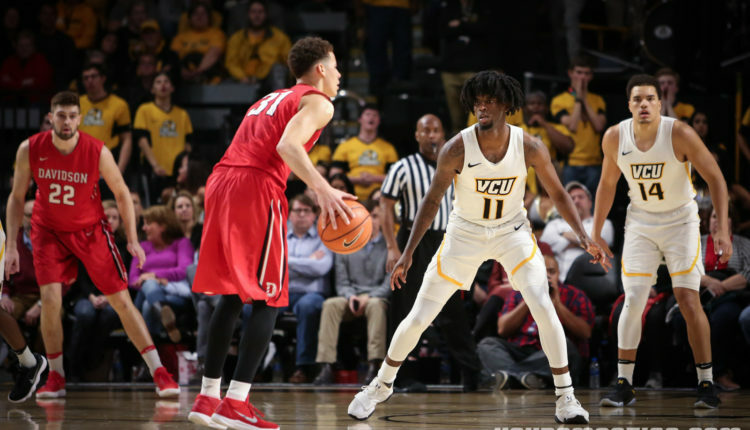 Does Lunardi know that there is a team in the A-10 that (1) has a better overall record than VCU, (2) has a better conference record, and (3) beat VCU head-to-head? Don’t you think a team with these qualities would at least have a “realistic hope” of making the field if VCU is currently in it. This is not to say that Davidson is currently edging out VCU for an at-large spot. VCU probably has a small advantage given its win at Texas and better NET ranking. But a one-point win over a 13-10 team is not a victory against a Final Four contender, and the difference in NET is hardly resounding (12 spots). Both teams are squarely on the bubble. (Personally, I believe both will probably deserve to make it in if they win 15 games in conference and one in Brooklyn). Davidson has an easy schedule down the stretch. At this point, it would be favored in every matchup for the rest of the season. Let’s say they underperform their favorite in every game status and go 8-1 down the stretch. This would give them a 25-6 overall record, a 16-2 record in conference, and a regular season title. If they were then to lose in the semifinal in Brooklyn, they would wrap up 26-7. I actually believe this to be a pessimistic scenario for Davidson at this point. Last year, St. Bonaventure was 25-7 on Selection Sunday. They finished 14-4 in conference, good for second place, and made it to the semifinals of the conference tournament. Interestingly, like Davidson this year, the Bonnies had their worst loss out of conference to Niagara while missing a star guard (Jaylen Adams). This year Davidson went 0-3 against Division I teams without Kellan Grady. With Grady in the lineup, the Cats are 16-2. St. Bonaventure of course made the field last year, as Lunardi confidently predicted. Should Davidson need an at-large bid this year, there is a high probability the Wildcats will have a very similar resume to the 2018 Bonnies. There is no doubt Davidson has a lot of work to do, and little room for error. But it is very much in contention for an at-large bid. Any statement to the contrary is simply incorrect.